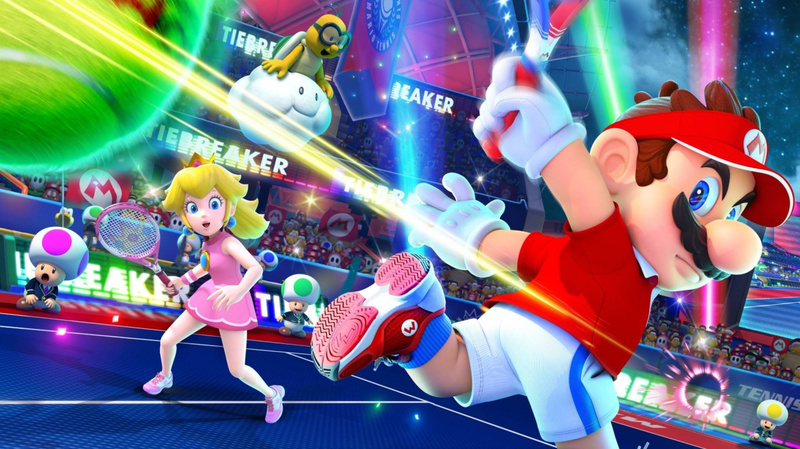 Original article: Since its release last year, Mario Tennis Aces on the Nintendo Switch has sustained itself with new content and character updates. If this wasn't enough, a dataminer known as Ozzie9889 along with a "few others" - according to an article over on Nintendo Wire - have uncovered code within the game, potentially revealing a surprise character who might be taking to the court in the near future. The group from the Mario Tennis Aces Club Discord server found lines of code suggesting Link from The Legend of Zelda series will be added to the newest tennis entry on Switch. Some of his extra costumes are also expected to be added. This includes his classic tunic, his evil alt Dark Link and his Champion's Tunic from The Legend of Zelda: Breath of the Wild. The costumes are expected to appear in an upcoming tournament and will require 500 and 2,000 points respectively to unlock. It's worth noting the main source has previously discovered the Classic Luigi outfit prior to its official reveal. The Mario Tennis Aces Club Twitter account also mentions how Camelot has a habit of leaving a lot of unused content within the game's files, so Link's appearance isn't necessarily 100 percent confirmed at this stage. If Link was to make an appearance at some point in Mario Tennis Aces, it wouldn't be a complete surprise considering his previous track outing in Mario Kart 8 Deluxe. Would you like to play as Link on court? Tell us below. Although I'd love to have Link in MTA, he'd probably be locked to the worst online service in the world. I swear, with all the datamining and leaking that's going on lately, there has to be some sort of big announcement - or dare I say it, a Direct - coming sooner rather than later. Mario Tennis Aces: A Link Between Swings. Ball Of the Wild. LOZ: Skyward Lob. Dataminers at work lately. Hopefully Nintendo comes out soon with a Direct. It'd be nice to get some official surprises. Geez. That’s cool, but I would rather have Bowsette. "Hey everyone! We've pulled the video about the potential data mine earlier of a new DLC character in Mario Tennis Aces as we've since received evidence that the entire thing may have been fabricated. We're not 100% confident in that information, but to prevent the spread of potential (and likely) misinformation, pulling the video seemed to best for the best." Ha, called it! I knew he would be a great fit for Mario Tennis. But to make it complete they also need to put in Ganondorf Dragmire. Can they Datamine Super Mario Party next? Would like to know if there is evidence for DLC characters and boards down the road. @Majora101 Seeing that Mario Golf: World Tour's online tournaments have officially ended last week, here's to hoping that they are working on a new Mario Golf for the Nintendo Switch! I honestly wouldn't mind if all nintendo sport/other mario character collaboration games, ended up like smash bros, so that the roster can be more than pink gold peach, that would also boost sales with fans of other series. I'm guessing Isabelle will be next? Bringing other characters in would not be a bad idea! 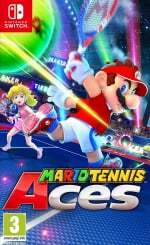 Mario Tennis Aces is a great game but it still needs all the push it can get. I keep having trouble to find people to play online against. Can someone explain why Mario Tennis gets so many free updates while bigger hits like MK8 and Mario Party don't? @Sandro89 Mario Kart 8 did get updates on the Wii U but they weren't free - they were paid so I doubt Nintendo would ever do free content for that series. As for Mario Party, that is an odd one. I can see Nintendo holding that announcement for a Direct. But then again, they love pumping out Mario Party games so they could just not bother with updates. What do you care? You guys already got the clickbait views from the fakenews story. Shame it’s fake. The Master Racket alone would have made this fun. @manu0 It's a video game blog. I wouldn't take it so seriously. @ed5275 it's not a blog, it's a news website. and that's why i'm asking if they consider themselves journalists or not. @manu0 Both GameXplain and Spawn Wave made videos about it as well, so it's not like it didn't go through its paces. If it's not Link, it might as well be an Inkling Girl with the Inkling Boy as her alt! I mean, Inklings appear in Mario Kart, and in Smash Ultimate, so it would make sense for the Inklings to appear in Mario Tennis Aces!